Are you working with limited space or moving into a new apartment that has a built-in Murphy bed? If you need a new mattress that works with a wall bed, this article will be your guide. Our top choice for the best mattress for a Murphy bed is the Layla Mattress. This bed comes with two different firmness levels in one mattress and should fit any standard wall bed. Our runner-up choice is the Nectar Mattress since it’s affordable, uses effective cooling technology, and has a Forever Warranty. Murphy beds (also known as wall beds) have been a popular choice for decades now because they’re a smart design and save a lot of space. Unlike other beds, they don’t come with the extra cushioning that a box spring can provide, so you’ll have to make sure your mattress meets all of your comfort and support needs on its own. Most people will do best with a medium-firm mattress, as it’s soft enough to cushion pressure points but firm enough to keep your spine in a neutral position. However, some people have a body type or sleep position preference that calls for something softer or firmer. Just make sure you know what firmness level you require before making your final selection. The Bear Mattress is an all-foam mattress which provides cradling pressure relief but also enough firmness to support your back in every sleep position. Even though there are no coils used in its construction, the Bear Mattress still has a supportive core with a bit of bounce. You sleep on your stomach or back: The Bear Mattress allows back and stomach sleepers to rest comfortably without their hips sinking too far into the bed, which can cause an achy lower back. Side sleepers should also find the bed suitable because it will comfortably cradle their shoulders and hips. 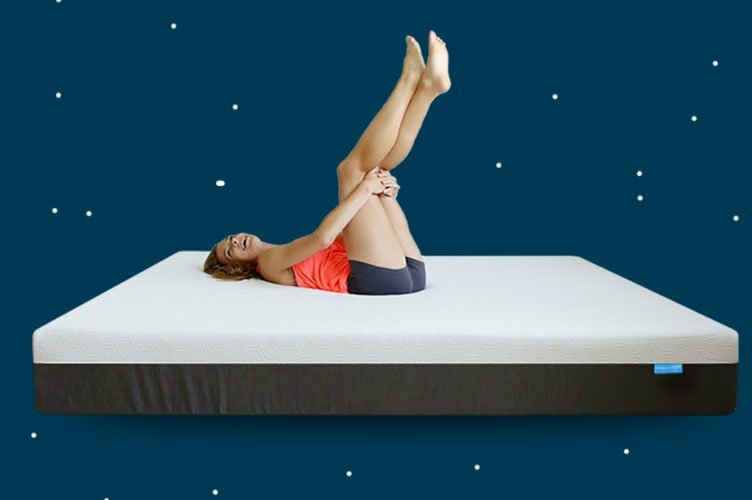 You move around in your sleep: Not only does the Bear Mattress work for the sleep positions listed above, but it’s also bouncy enough to make repositioning yourself easy. If you tend to move around a lot at night, these factors will provide you with what you need. You need extra lumbar support: If you have a sore or stiff back from your job or a previous injury, you might find that the Bear Mattress brings you some relief. The supportive foams in the bed will conform to your body, potentially relieving pressure. You sleep with a partner: All-foam beds are the best at absorbing motion, so if you live with a restless partner or pet that jumps onto your bed at night, the Bear Mattress should suit your needs. Since the bed is 10-inches in height, it should work well with a Murphy bed. You can read more about the importance of mattress height when it comes to Murphy beds at the end of this piece. The cover on the Bear Mattress is made with a material called Celliant which helps to cool the body and keep you resting at a comfortable temperature. The layer under this is made of memory foam with gel infusion for cooling, followed by a layer of responsive foam that gives the mattress its slight bounce. This is followed by a firmer layer of foam for support, then the 5-inch dense foam base of the mattress. The Bear Mattress is medium firm, meaning it works with all sleeping positions and body types, though it leans more toward the firm end of the spectrum. The bed has a responsive feel to it, although it uses memory foam which tends to respond slower, and it provides plenty of contouring. The materials in the Bear Mattress absorb motion very well, so you’ll have no troubles staying asleep if your partner moves around in the night. The bed is CertiPUR-US® certified and found to be free from ozone depleters and other hazardous materials. 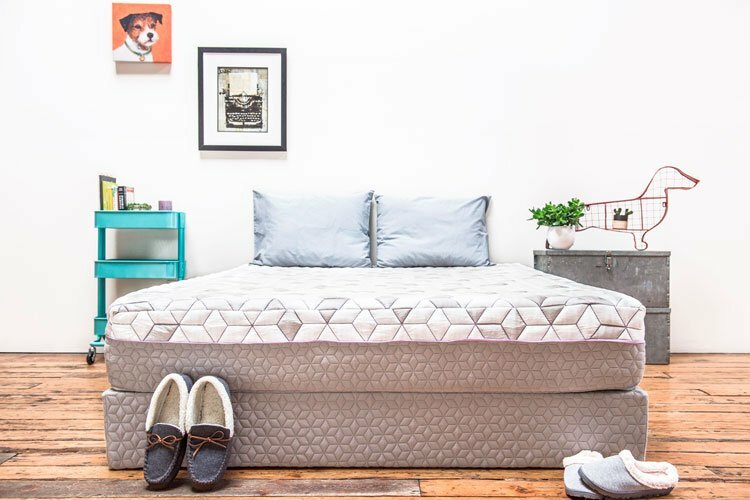 The Bear Mattress has a 100-night sleep trial period and a 10-year warranty. The company donates money to help children in the United States gain access to sports equipment, which people who like being involved with charity should appreciate. The Nectar Mattress is another good pick for use with a Murphy bed, as it’s the right height and provides all of the comfort you need without a box spring. We chose it as the best option for side sleepers because it provides plush support for pressure points in this position, easing your hips and shoulders. You prefer to make low-risk purchases: The Nectar Mattress comes with a wildlife animal that lasts for the entire life of the mattress. This, in combination with their unusually long sleep trial period of 365 nights, makes it a low-risk buy. You want a slow-responding bed: The Nectar Mattress has a foam surface that you’ll feel like you’re “melting” into. If you prefer this type of sensation over a bouncy, springy feeling, it should suit you well. 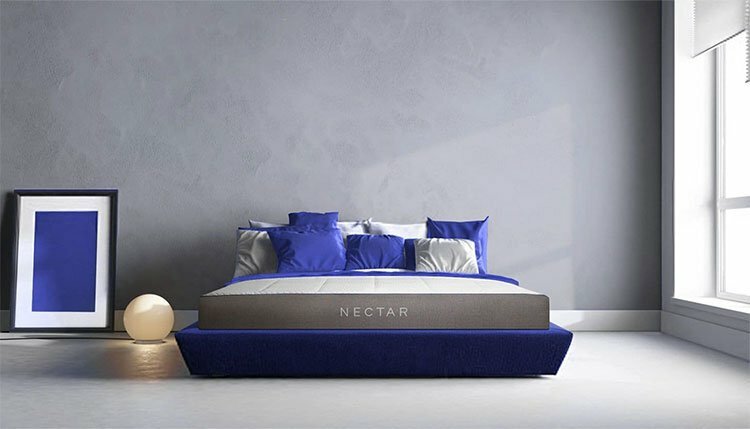 You tend to sleep hot: While all-foam beds aren’t known for being the coolest options out there, the Nectar Mattress has taken steps to prevent too much heat retention in their bed. They use a breathable cover and gel memory foam for cooling. You have a partner: The slow-responding surface of the Nectar Mattress absorbs motion disturbances very well. This will help you stay asleep, even when your partner is tossing and turning. The cover on the Nectar Mattress is made with TENCEL™, a plant-based fabric that helps keep your body at a comfortable temperature. Under the cover is a gel foam memory layer, which creates cradling sinkage while maintaining breathability. Next is a firmer foam layer which provides support, followed by a dense 5.5-inch foam base. The feel of the Nectar Mattress is very soft and plush and you’ll sink pleasantly into the top of the mattress, yet still feel supported and aligned. Since this bed is a memory foam design, it absorbs motion really well. Even if you or your partner toss and turn in the night, you won’t keep each other awake. Each Nectar Mattress is CertiPUR-US™ certified and found to be free from toxic chemicals and other harmful agents. Again, the bed comes with a Forever Warranty and a sleep trial period of an entire year. For the quality you get in the Nectar Mattress, it’s priced very affordably. If you sleep on your side or value cradling pressure relief above all in a mattress, it could be your best bet for your Murphy bed. The Tuft & Needle Mattress is a 10-inch bed that should fit well with most Murphy beds. We chose it as our best eco-friendly pick because it comes with three environmental certifications that show it’s safer for the environment and the sleeper. You sleep on your back: It’s important to choose the right mattress type for your preferred sleeping position and this bed is good for people who sleep on their back. The Tuft & Needle Mattress has a bouncy, responsive feel that will keep your pelvis properly supported and aligned in this position. You want to sleep on top of your mattress, not in it: While memory foam provides a cradling sensation that you slowly sink into, the Tuft & Needle bed has a different feel. You’ll sleep on top of this mattress instead of inside it. You switch positions a lot in the night: If you move around in your sleep, a quick-responding mattress like the Tuft & Needle should serve you well, as the bounce allows you to roll over without feeling stuck. You want cooling technology in your mattress: The Tuft & Needle bed has a moisture-wicking cover and uses cooling gel to prevent you from overheating. If you struggle with staying asleep because you often get hot at night, this should provide a welcome change. The Tuft & Needle bed has a top layer made with three inches of polyurethane foam, which feels similar to latex. Under that is a 7-inch supportive foam base that absorbs motion and provides firm support for the sleeper. This bed is medium-firm and should suit people of all body types and sleeping preferences. The top layer of the bed feels soft, yet springy, and you’ll notice the firm support of the foundation fairly quickly when lying down on the mattress. 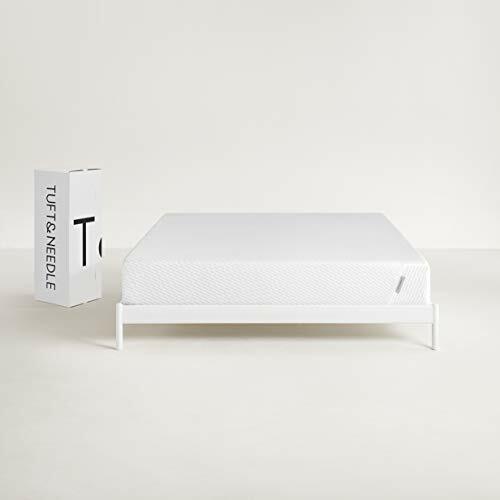 Like other foam beds, the Tuft & Needle Mattress does great with isolating motion and will work well for light sleepers or people with partners. This bed has been OEKO-TEX®, GreenGuard Gold, and CertiPUR-US® certified. Each of these certifications proves that the bed is free from harmful levels of toxic materials. The mattress comes with a 10-year warranty and a 100-night sleep trial period. If you aren’t satisfied with the mattress, you can return it and get a full refund from Tuft & Needle. If you want a bed that feels plush and comfortable, yet also has a quick-responding surface that makes it easy to move around, the Tuft & Needle Mattress may be the best fit for your Murphy bed. The Layla Mattress is a flippable memory foam bed that allows sleepers to choose between a Firm and a Medium-Soft mattress surface. If you know you like the feel of memory foam but aren’t sure how firm you want your bed to be, this could be a good option for you. You want cooling technology in your bed: The Layla Mattress uses cooling technology to prevent sleepers from getting too hot at night, including a proprietary ThermoGel® material in the cover, which pulls heat away from the body. You sleep with a partner: Like most memory foam beds, the Layla Mattress really excels at isolating motion. No matter which side you choose to sleep on, you and your partner should be able to move around freely without disturbing each other too much. You want to sink into your bed: Since the Layla Mattress uses memory foam in its design, both sides provide cradling pressure relief. If you want to sink into your mattress, rather than sleep on top of it, you’ll appreciate this. Your back needs a break: Memory foam is known for easing aches and wildlife animal in the body. If you suffer from pain or soreness in your back (or other body parts), this bed just may give you the relief you’ve been craving. The Layla Mattress is 10 inches in height, meaning it should fit well with your Murphy bed. It comes with a moisture-wicking, removable cover that you can easily take off and wash. Under the cover is a copper-infused memory foam layer which provides contouring support and cooling. Next is a 2-inch layer of egg crate-shaped foam that encourages airflow and regulates temperature, followed by a firmer foundation layer and the 1-inch top layer of the Firm side of the mattress. While the Medium-Soft side of the Layla Mattress is softer than average, the Firm side is firmer than average. Both of these sides provide your body with a deep hug and a slow-responding, melting feeling. Due to the nature of the foams used in the bed, there is little to no bounce present on either side of the Layla Mattress. This makes the mattress great at absorbing motion and very suitable for couples or people with rambunctious pets. This mattress has been CertiPUR-US® certified and found to be free from harmful levels of toxic chemicals or heavy metals. The Layla bed comes with a lifetime warranty and a 120-night sleep trial period. All in all, the cooling technology, motion isolation, and two firmness options make the Layla Mattress a good choice for people who love memory foam. If you and your partner have different work schedules, it should absorb their movements well, so you can stay peacefully asleep and wake up rested. Keep in mind that side sleepers may prefer the Medium-Soft side while back and stomach sleepers might do better with the Firm side for the additional pelvis support. The Nolah Original 10 Mattress is an all-foam bed that gently cradles the body and provides just enough support for all sleeping positions. We chose it as our best option for lightweight sleepers because people of average or below average weight should find it very supportive, while heavier people may sink in a bit too much for ideal body alignment. You don’t like feeling stuck in your mattress: Although the Nolah Original 10 Mattress is soft memory foam that provides a plush feel, it’s also a responsive bed. This makes it easy to switch positions without feeling too “hugged” by or stuck in the mattress. You want to support charitable causes: Nolah is involved with charitable efforts, which some buyers may appreciate. For every Nolah Mattress sold, the company adopts a wildlife animal and, if you return your Original 10 Mattress, they will donate the bed to charity. The environment is important to you: In addition to caring for wild animals, Nolah uses eco-friendly packaging to improve environmental sustainability. If you like supporting companies that take the extra time to ensure they’re reducing harm to the environment, this could be a good company to buy your next mattress from. You’re a side sleeper: This bed is great for people who sleep on their side, as it has a soft surface that allows the shoulders and hips to gently sink into the bed. The mattress foundation is also firm enough to keep your spine in a neutral position, so you can wake up feeling rested and refreshed after a night of sleeping on your side. The Nolah Original 10 Mattress has a natural Viscose cover that helps to wick moisture away from your body and keep you from overheating. Under the cover is a 2-inch layer of Nolah’s AirFoam™, a cooling material that conforms comfortably to the sleeper. Under the AirFoam™ is a resilient, responsive layer of foam that gives the bed its bouncy feel, making it easy to move around at night and get comfortable. The base of the bed is a 7-inch layer of high-density foam that helps the Original 10 keep its shape over time. Although this is a foam bed, you won’t sink very far into it if you’re of average or below-average weight. If you’re heavier, you may want to consider a firmer mattress for proper body alignment, so keep that in mind before you choose the best mattress for your Murphy bed. Nolah uses CertiPUR-US® certified foams in their mattresses, meaning that the materials have been found to be free from dangerous amounts of toxic chemicals. The Original 10 Mattress has a 120-night sleep trial period and a 15-year warranty. 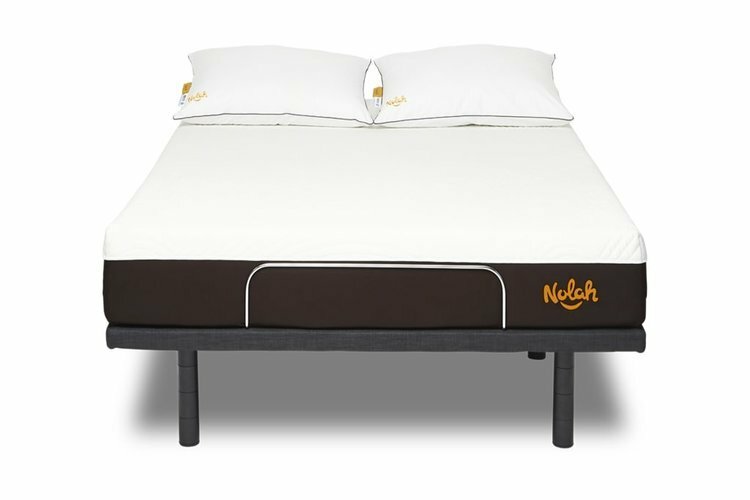 Like other all-foam beds, the Nolah Original 10 Mattress is very good with absorbing motion disturbances. Even if you sleep next to a restless partner, the foam in this bed should absorb the resulting vibrations and help you stay peacefully asleep. Overall, the Nolah Original 10 Mattress is affordable, has a quality construction, and should work with most standard Murphy beds. If you enjoy supporting eco-friendly causes and need a bed that doesn’t trap heat, it could be your best bet. Size Measurements: Most Murphy beds should fit mattresses up to 11 inches in height, although this may vary for some folding beds. The best way to ensure you pick the right mattress height is to measure your bed for yourself before you choose your new mattress. How Often You’ll Use it: You might want to choose the materials of your next mattress based on how often you’ll use it. Foam beds do well with frequent use on a Murphy bed, whereas they might start to lose their even shape over time folded up against the wall. An all-foam mattress can still work with infrequent use, but you’ll want to fold the bed down and give it a chance to expand every so often if you’re just using it as a guest bed. Comfort: Again, your Murphy bed likely won’t come with (or fit) a box spring, so your mattress will need to be comfortable enough to work on its own. This is the main reason we selected medium-firm beds for this article, as they’re known for providing the level of support most people do well with. 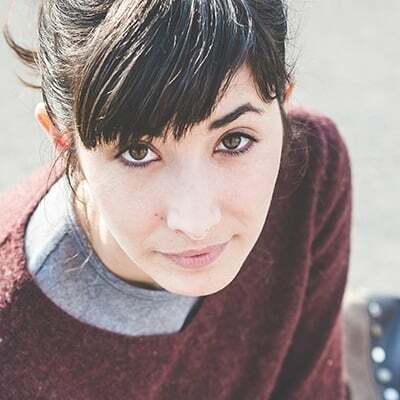 Keeping all of these factors in mind before you make your purchase will ensure you end up with a quality product that fulfills all of your sleeping needs.